These earrings will bring some sparkle into your life. 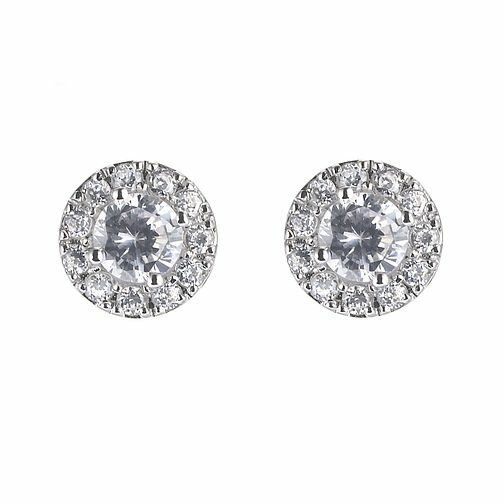 Vintage style stud earrings with cubic zirconia, elegant and stylish for all occasions. Vintage style cubic zirconia stud earrings. 9ct white gold cubic zirconia vintage stud earrings is rated 4.5 out of 5 by 4. Rated 3 out of 5 by Anonymous from Earring lovely- Gift packaging awful Very disapointed in gift box packaging, arrived with ribbon detached from box. Also person message was not present. Gift box was a waste of money. However, earrings seem to look nice. Rated 5 out of 5 by Anonymous from Very pretty earrings These earrings are beautiful and are a perfect size. Not too big or not too small. The detail on them is also beautiful and would be a lovely gift.